To release a screenplay into the world too soon: this is one of the most common mistakes a writer can make. You are so eager of having it read, aren’t you? But once the script is out there, it’s too late for changes and improvements, the deal is done. Make bloody sure that you are sending the exactly thing. Be fully prepared before submitting your work “to the powers that be”. In The Script Blog we will keep on linking to a selection of the best articles around on script writing and this one is certainly on of them. 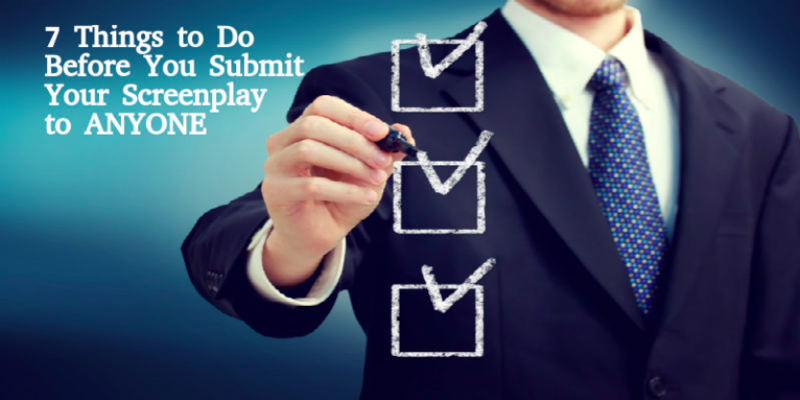 Enjoy and make use of 7 Things To Do Before You Submit Your Screenplay To Anyone by Ken Miyamoto on Screencraft. This entry was posted in LINKS on screenwriting, SCREENWRITING and tagged Ken Miyamoto, Screencraft. Bookmark the permalink.